The market size of the space industry grows every year. In 2016, the global space industry market was worth approximately US$330 billion having grown over 20% in the past five years. Although the Japanese government’s budget for space development is significantly smaller than that of the US budget (approximately 4.5 trillion yen), the budget request for fiscal 2018 is 355 billion yen, an increase of 22% from the previous year. Satellite services account for over 70% of the market, with demand for small satellites increasing in particular. 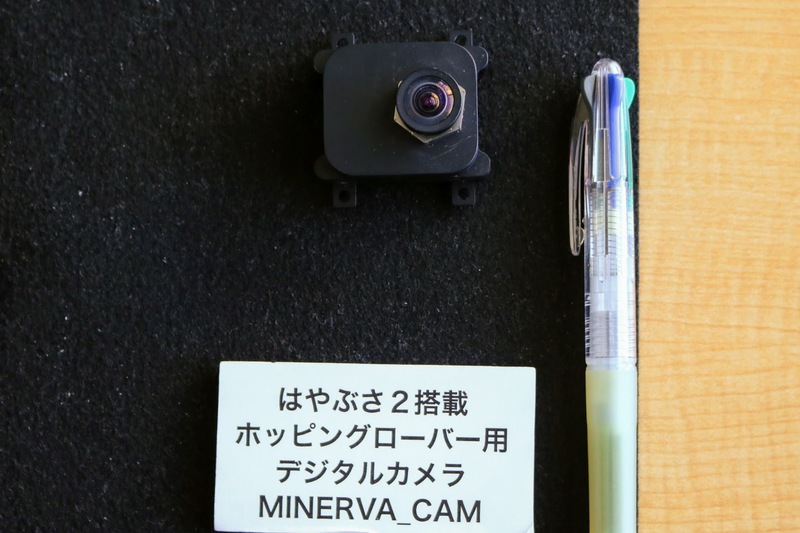 In February, the Japan Aerospace Exploration Agency (JAXA) launched a microsatellite into orbit, and was recognized by Guinness World Records for using the smallest rocket ever to do so. With hopes growing for the space industry as a growth industry and for research and development in space technology, last year the Tokyo University of Science (TUS) established the Space Colony Research Center. From around 1970, while teaching at Princeton University in the US, Professor Gerard O’Neill proposed the creation of space colonies as artificial habitats to allow humanity to permanently live in space. Based on this idea, the goal of the Space Colony Research Center is to further improve technology in areas the TUS excels at, making the technology viable in space and creating a virtuous cycle of technological innovation on Earth as well. Japan’s first female astronaut, Ms. Chiaki Mukai, will guide participants on this tour around the Tokyo University of Science Space Colony Research Center, which she is Director of. The tour will learn about the frontline of technological development that could be used for long-term habitation in space. The Space Colony Research Center is comprised of four teams: 1) The Space Agritech Team, researching hydroponics to grow food in space; 2) The Energy Creation and Storage Technology Team, researching the generation of energy necessary to support life in space; 3) The Water and Air Recycling Technology Team, researching how to recycle these limited resources; and 4) The Space Quality of Life Design Team, in charge overall and researching medical and other systems for while living in space. The core of their research is based around photocatalysis and high-efficiency energy generation with a low environmental impact, strengths of the university as a whole. Director Chiaki Mukai flew on Space Shuttles twice, in 1994 and 1998, during which as a medical doctor she carried out experiments on space life sciences. After becoming Vice President of the TUS in 2015, Dr. Mukai has been the face of the university’s space education program for training the next generation of researchers and engineers, who will support the future of space development and the space industry. Since establishing the Space Colony Research Center, the goal has been to first improve existing technology and develop new technology with practical applications on Earth, encouraging businesses to enter the space industry, and grow the Space Colony Research Center into a global center for research so that Japan will be a leader in the area of technology for human habitation in space. 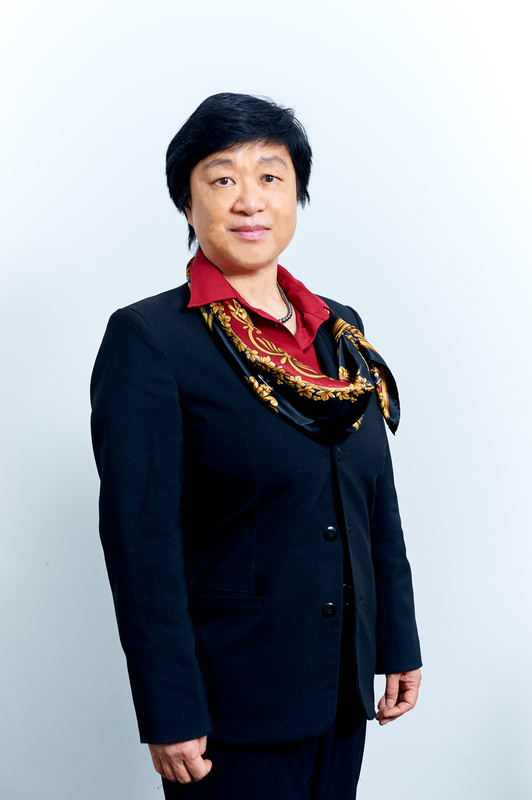 Dr. Mukai will explain the Space Colony Research Center’s vision and the research being carried out there, followed by a Q&A session. 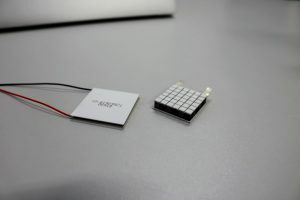 Solar power is an effective method for generating large amounts of electricity in space, but there is also the downside of having no energy supply during the night. 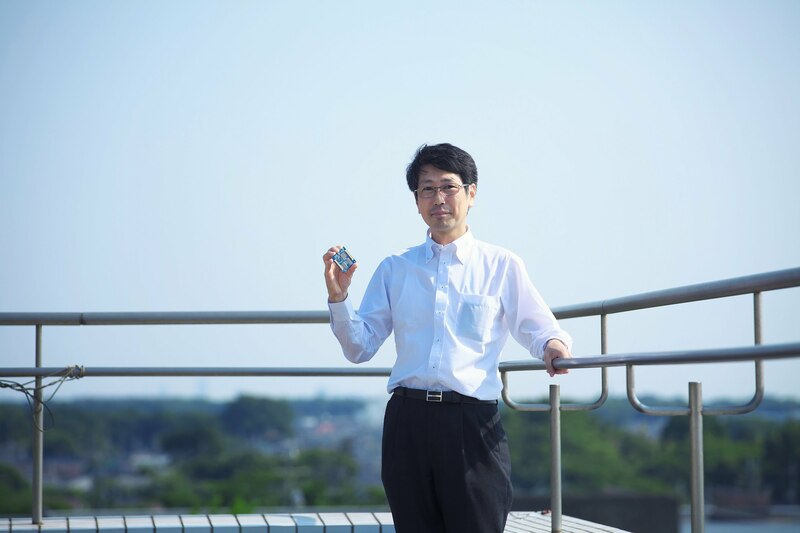 According to Dr. Iida, thermoelectric generation uses waste heat created by generation using fossil fuels, 70% of which is normally unused, and can generate electricity regardless of sunlight. 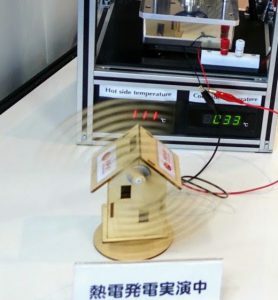 In thermoelectric generation, heat is converted into electricity via the temperature differential created as the waste heat passes through a semiconductor device made using, among other things, Mg2Si (a compound of magnesium and silicon). This palm-sized device can be attached in a variety of places, and magnesium and silicon are both plentiful resources without significant negative effects on the human body or the environment. 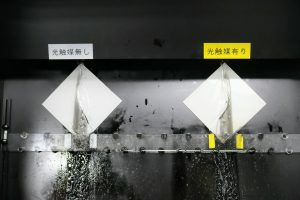 Materials manufacturers in Japan are already producing a stable supply of magnesium silicide, and experiments and development of thermoelectric devices are underway primarily at overseas automobile manufacturers, using them to improve fuel efficiency and reduce CO2 emissions through installation in engines. 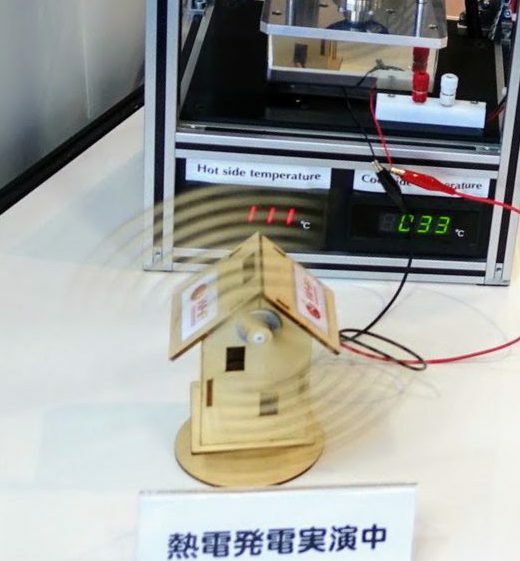 Dr. Iida will explain the concept of thermoelectric generation and plans for practical applications, along with a demonstration of using thermoelectric devices to generate electricity and operate a windmill. When living in space, such as with the International Space Station, it is necessary to purify the smells and germs in the air of an enclosed space while using as little energy as possible. It is hoped that the photocatalysis discovered by Tokyo University of Science President Akira Fujishima will be useful in this respect. 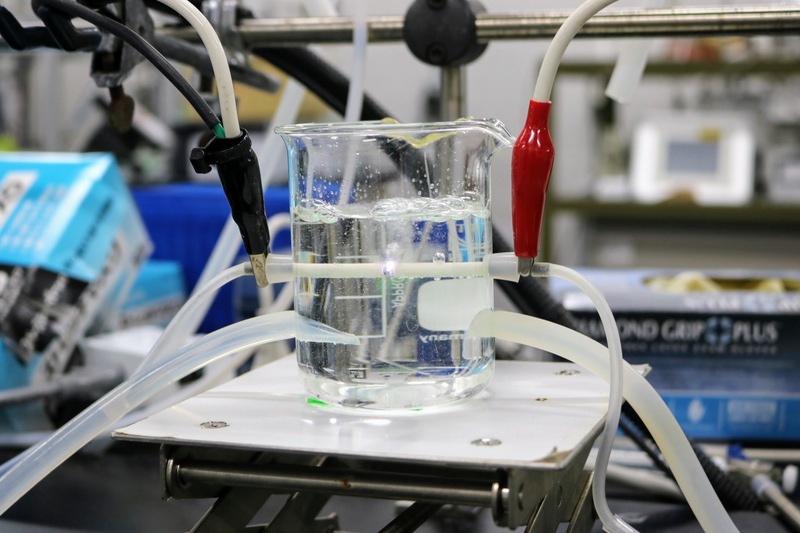 With photocatalysts, harmful substances and smells can be broken down by being exposed to light, or using the hydrophilic properties of the photocatalyst, dirt can be carried away by water. Photocatalysts are already blended into filters for air conditioners and Shinkansen smoking room for air purification, and used in the coating on the outer walls of buildings such as the Marunouchi Building and the Louvre Museum to clean the walls with rain. 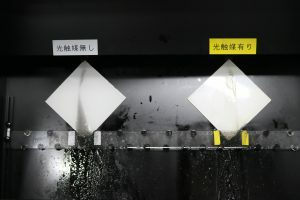 Associate Professor Kazuya Nakata is working on improving these photocatalysts, which are already in use on Earth, to replace the activated carbon currently in use on the International Space Station to remove odors, by developing photocatalysts that can remove odors and molds more efficiently in a shorter time. Associate Professor Nakata will explain the basic process of photocatalysis, followed by a demonstration of tiles including photocatalysts being cleaned simple by pouring water over them. Self-sufficiency for food is necessary to live in space. NASA has recently been researching growing potatoes in soil that replicates conditions on Mars, but Associate Professor Chiaki Terashima is researching hydroponics. 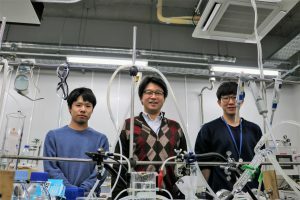 A liquid fertilizer developed by Dr. Terashima, which has already been used to cultivate turnips, is used, and can be created by simply running electricity through water and air. 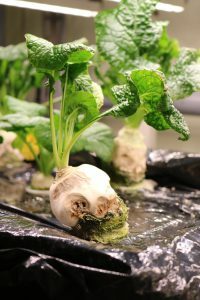 Although this fertilizer can be made from readily available ingredients it helps prevent the growth of algae, a common obstacle in hydroponics, and can help grow food hygienically and efficiently. Dr. Terashima would like to see this method in use on Earth within the year, and in space within five years. 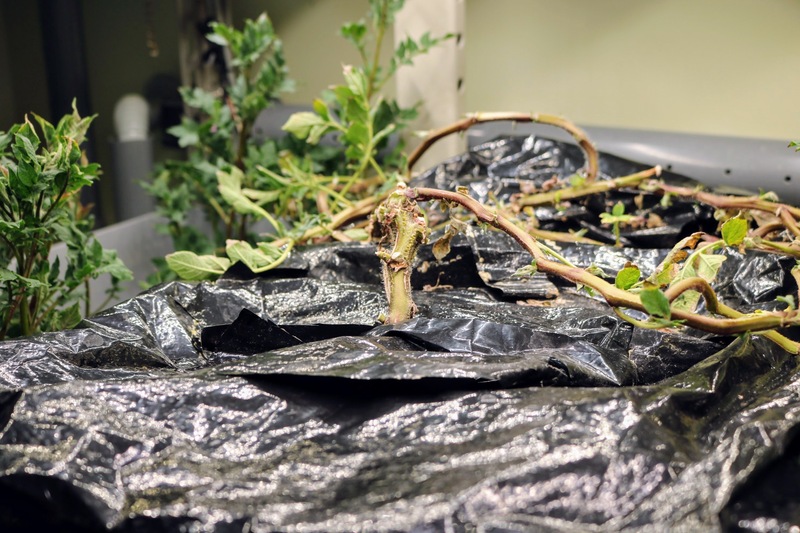 Associate Professor Terashima will demonstrate the production of the fertilizer, which is expected to be helpful for growing food in harsh conditions on Earth, such as deserts, as well as in space. 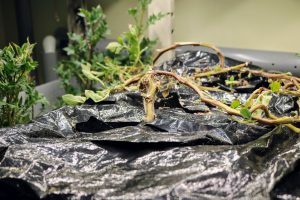 There will also be an opportunity to film and photograph potatoes and turnips being grown. 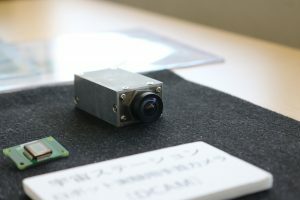 The TRICOM-1R (Tasuki) microsatellite which detached from the SS-520 rocket launched by JAXA last month includes a 10 square centimeter computer with world-class processing speed developed by Professor Shinichi Kimura along with five-gram cameras of approximately the same size, among the lightest in the world, to take video of six directions at once. 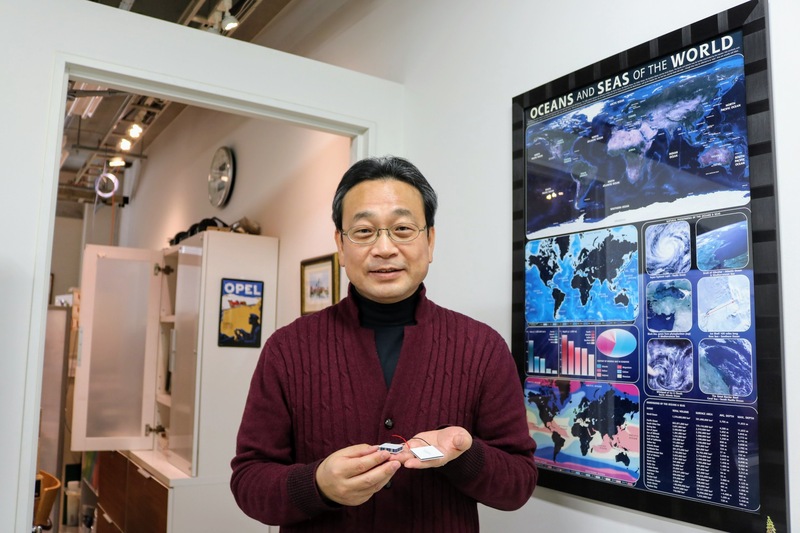 Since developing devices exclusively for use in space is not only expensive, but leads to products with limited usability, Dr. Kimura has been developing devices that also work in space while using parts found in standard household products such as cars and mobile phones. Space debris is a global issue, and it is hoped a new approach will be helpful. Astroscale, a startup company based out of Singapore with the goal of eliminating space debris, plans to launch an experimental satellite for retrieving space debris next year. 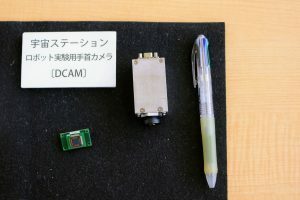 The satellite will be able to independently detect and collect debris without commands from Earth, thanks in large part to the computer and cameras that Professor Kimura developed. 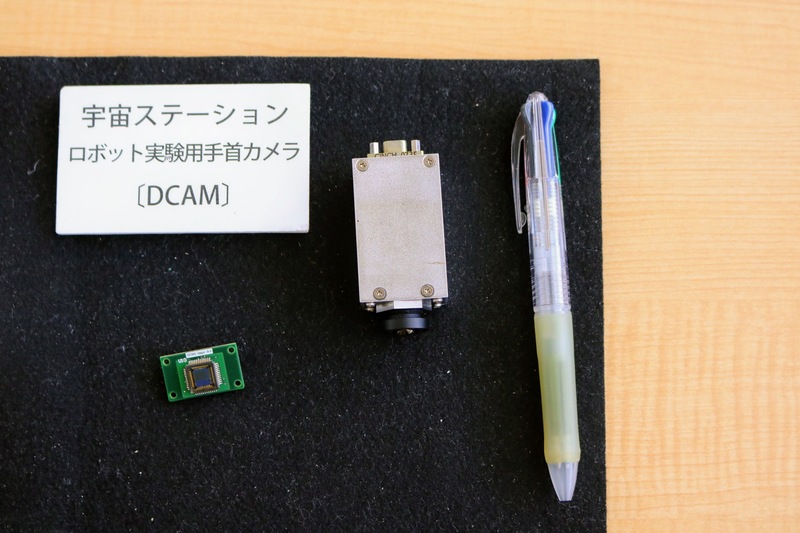 If the experiment is successful, this will be a significant step forward for the removal of space debris, which will in turn help decrease the possibility of space debris interfering with rockets and satellites. 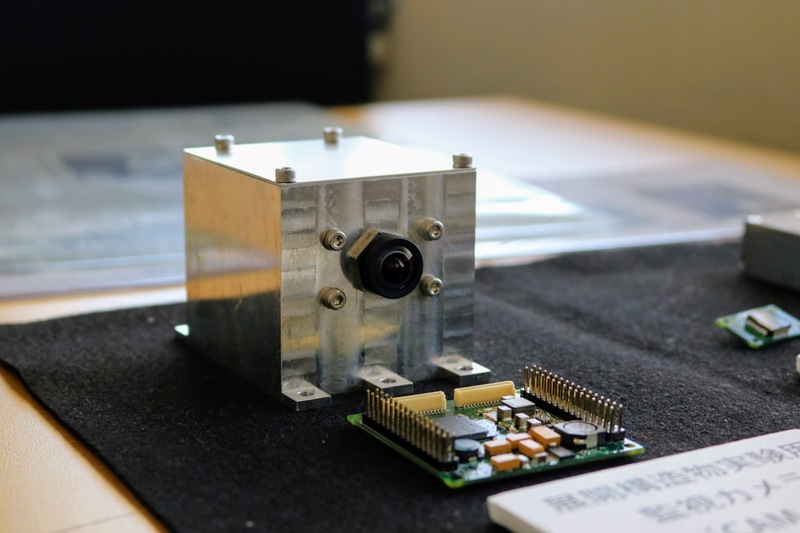 The project is receiving attention from businesses throughout the space industry. Professor Kimura will explain about the computers and cameras he developed included in satellites launched last November and in February. 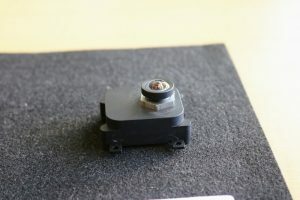 This will be followed by a demonstration of testing in a simulated space environment to ensure devices will function properly in space, which may be filmed and photographed. As Director Mukai and Professor Kimura are also members of the Ministry of Education, Culture, Sports, Science and Technology’s Space Development and Utilization Division International Space Station and International Space Exploration Subcommittee, there will be a general Q&A about space development in Japan at the end of the tour. *If the number of applicants exceeds seven, an upper limit may be set on the number of participants from each country/region. 5. Remarks:- This press tour is organized by TUS. - Schedule may change due to weather or other issues. - TUS and the FPCJ will not be liable for any inconvenience, trouble or accidents that might occur during the tour. - There may be some restrictions on photographing and filming at the tour sites. Please follow the instructions of the staff in charge.